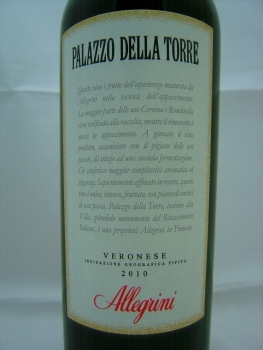 Der Allegrini Palazzo della Torre 2010 wurde von Luca Maroni mit 91 Punkten bewertet. "The 2010 Palazzo della Torre is 70% Corvina, 25% Rondinella and 5% Sangiovese that is air-dried until December after the harvest. 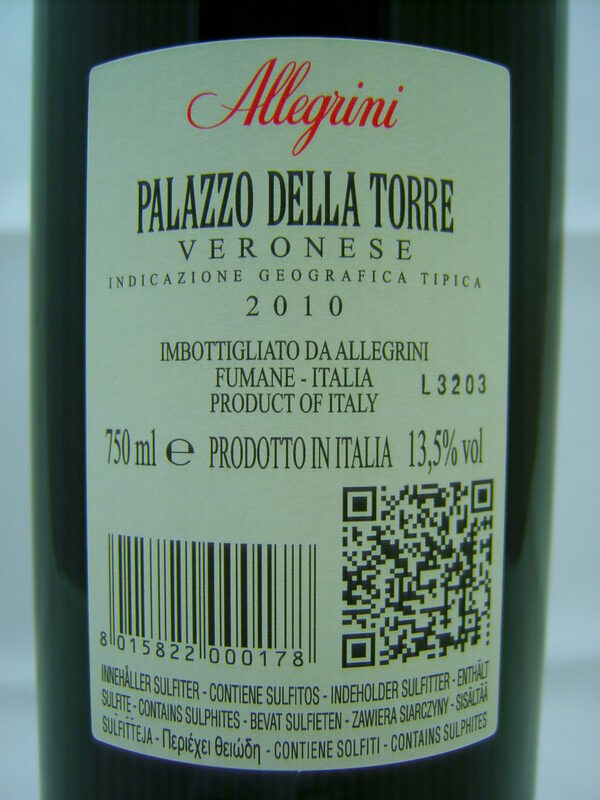 That brief appassimento has shaped a delicious wine with loads of cherry and dark spice. It’s a great value with the depth of concentration and length that would match a wine double this price. Drink 2013-2018." "The 2006 Palazzo della Torre comes across as somewhat restrained for this wine. This is a very polished, elegant Palazzo della Torre with pretty layers of mocha, spices and new leather that add complexity to the fresh, vibrant fruit. 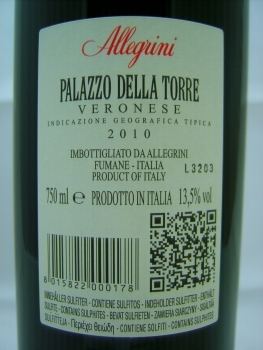 Palazzo della Torre is 70% Corvina Veronese, 25% Rondinella and 5% Sangiovese. 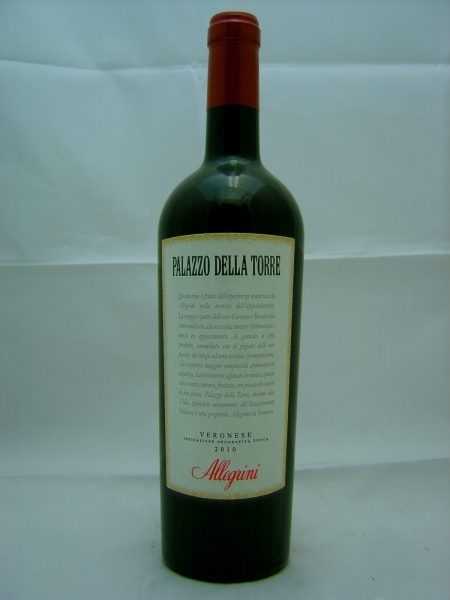 The addition of 30% dried fruit (Amarone style) adds an extra dimension of complexity. The retro 1970's label is also quite attractive. Anticipated maturity: 2010-2016. 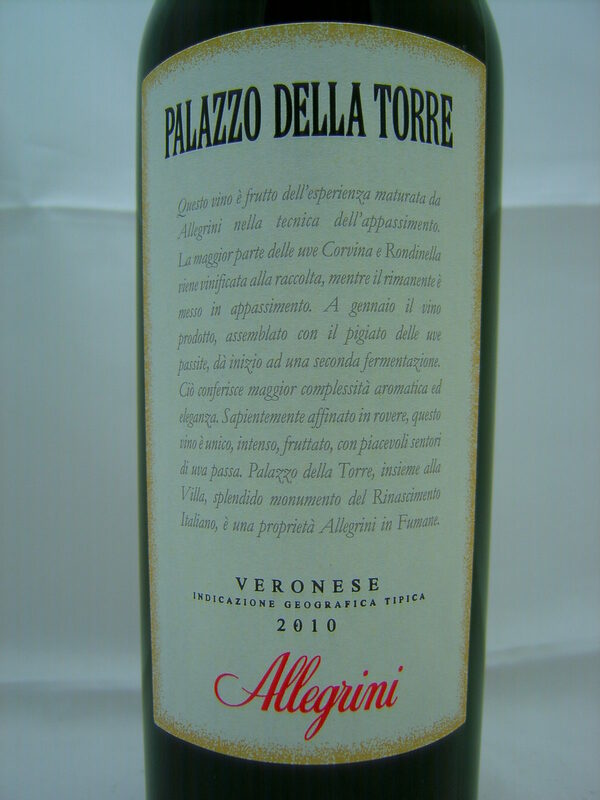 This is a terrific set of new wines from Allegrini, one of the benchmark producers in Veneto."